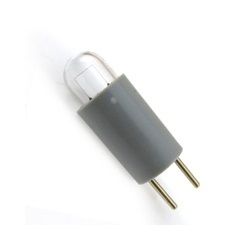 Incandescent retinoscope bulb that is 2.4 volts. 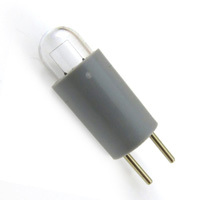 T2 1/2 shape with a plastic, 2-pin base. Diameter of 8.5mm and overall length of 25mm. For use with the Copeland Optec 360 Retinoscope.